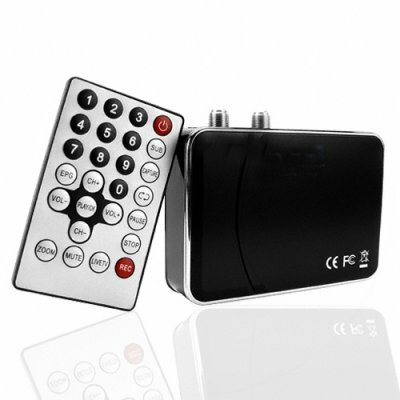 Successfully Added Universal Satellite TV Receiver for PC - DVB-S to your Shopping Cart. The tidal wave of digital TV products is finally upon us and analog is now a thing of the past - drowning in its midst, this satellite TV receiver will get you crystal clear TV reception for a PC at a great wholesale price. With all the creature comforts that come with digital TV - scheduled recording, teletext, and electronic program guides all controllable from the desktop or remote control you'll wonder how you ever did without it. Setup is simple, plug in to USB, attach satellite dish, install software and choose from a truly astounding amount of broadcasting satellites then auto scan your way to viewing bliss. Grab one today for yourself, or start selling to others and use our great drop shipping service - we're China's original drop ship provider..
Support for full DVB-S functions - EPG, Scheduled Recording, Parental Control, Snapshots etc.